We’re still swooning over the Rugged Luxe look that combines the old with new and weathered with glitzy. 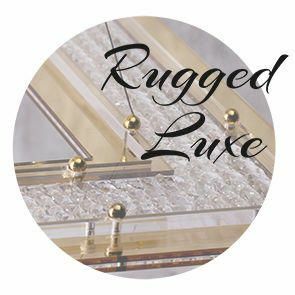 Here’s a selection of ceiling lights that will look amazing in Rugged Luxe inspired interior… or any other if you’re a lover of all things elegant. Add a stunning style statement to your dining room with our show stopping and jaw dropping Crystal Basket ceiling pendant. The impressive metal frame finished in antique brass holds sparkling crystals that will shimmer and shine when lit. This will be the perfect choice if you’re looking for something to impress your guests and make a grand style statement. Glistening vintage designs are a timeless classic that will look great in any home. 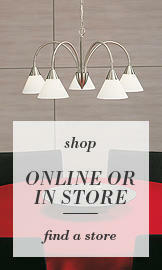 Our Madonna range ceiling lights and chandeliers are very popular amongst our clients. Variation of sizes and finishes allow you to choose the best option for your interior. For Rugged Luxe interiors we suggest our Madonna 12 Light Chandelier in antique brass. Combination of clear and champagne coloured crystals will add a warm and elegant ambience to any room. Low ceilings shouldn’t stop you from choosing luxury lighting fixtures that you adore. Simply go for ceiling lights that are adjustable in height. Our Large Roma ceiling pendant will add a contemporary look to your interiors and you can adjust the height of it from 35 to 155 centimetres. If you prefer ceiling flushes to pendants or chandeliers then our Crystal Basket ceiling flush light is a definite go to for a Rugged Luxe style room. It looks elegant and rustic at the same time, something you would see in a sophisticated vintage manor house. Fitted with 3 G9 bulbs it offers plenty of ambience. Complete the look with a matching wall light. Romantic Vintage designs will bring welcoming atmosphere to any room, whether the style is weathered or traditional. 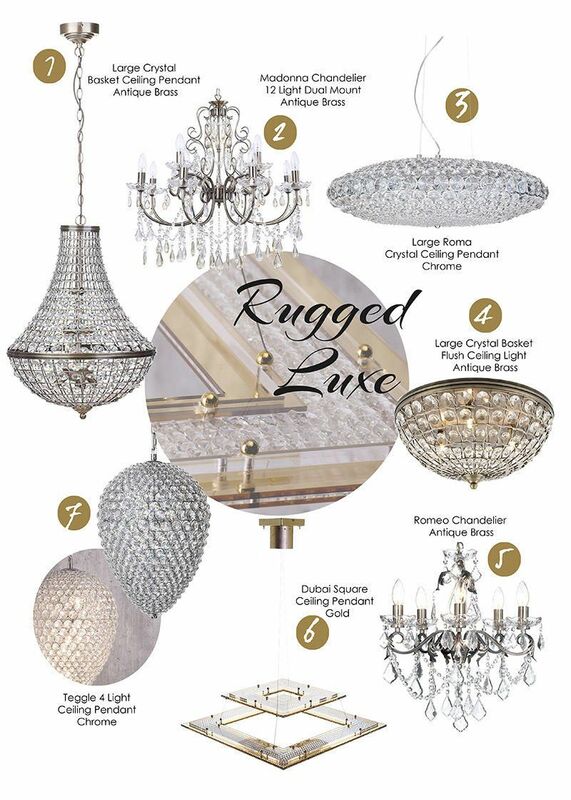 Our design team has put a lot of thought in creating our Romeo chandeliers. From delicate curved-arm frame to carefully crafted clear glass sconces and crystals, it’s such a charming light that will definitely become the focal point of any room. If you aren’t that fond of traditional designs and prefer something more sleek and modern then our Dubai range lights are perfect for you. Our Dubai Square ceiling pendant light has a sparkling design that oozes of style and glamour. It will look breath-taking above a dining table or kitchen island. Adjustable height allows you to choose the perfect height for your room. Our Teggle 4 light ceiling pendant light combines energy saving technology and contemporary design for the ultimate look of luxury and class. Polished chrome frame that resembles an inverted teardrop is decorated with lavish crystals that will defuse the light beautifully. Head over to our Pinterest board and check out our Rugged Luxe board.